You need to ensure that your car has the same condition after transportation from the outside in which you shipped it. Environmental elements like dust and dirt can hide scratches, dents, and dings. So before you use the car shipping company, wash it thoroughly so you can see if there is any damage done to the vehicle during the transport. When your car is transported, it may get jostled a bit. So to make sure that your belongings don’t get tossed around, clean the interior and remove things like spare change and fresheners that are not secured including electronic items such as chargers and cables. Though it seems obvious, it is among the most important things to do before using car shipping companies. So make sure to disable your alarm and not cause the truck driver to freak out during the transportation. Since your car is transported through a truck and not actually driven to your desired destination, you don’t need to put gas at all. Also, a full tank of gasoline will only make your car heavier that will only add more weight. Before your car gets loaded onto the truck of the car shipping company, make sure to check the undercarriage for any noticeable leaks. And if you see one, make sure to get it repaired before loading the car because companies may refuse to transport the car due to leaks. Also, make sure to check the tire pressure because over-inflated or under-inflated tires can cause the damage to the car or its tires while loading, transporting or unloading. If your car has custom accessories like spoilers or other special show parts, make sure to remove them prior to car transportation. This is because the additional parts can get damaged while getting loaded or unloaded due to their irregular shapes and sizes. Once you have loaded your car on the truck, there is no reason for it to stay open. So make sure to lock it and reduce the risk of theft while it is getting transported. So these are a few steps that you need to follow when you are using a car shipping company’s service. Make sure to double check everything discussed here before you load the car onto the truck. Interested In A Reliable Car Transport Company? Our mission is to provide superior car transport services through understanding our valued customer needs and delivering vehicle(s) with a seamless process, state to state. 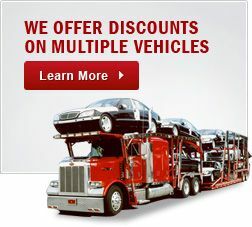 We are a full service auto transport company and are skilled to provide superior expertise. Every measure is taken to not only ensure the safe arrival of your vehicle, but to alleviate the pressures and concerns of the process. We make certain all chosen carriers are equipped to exceed your expectations. Place your reservation online or over the phone with one of our professional sales representatives and we will take care of the rest.